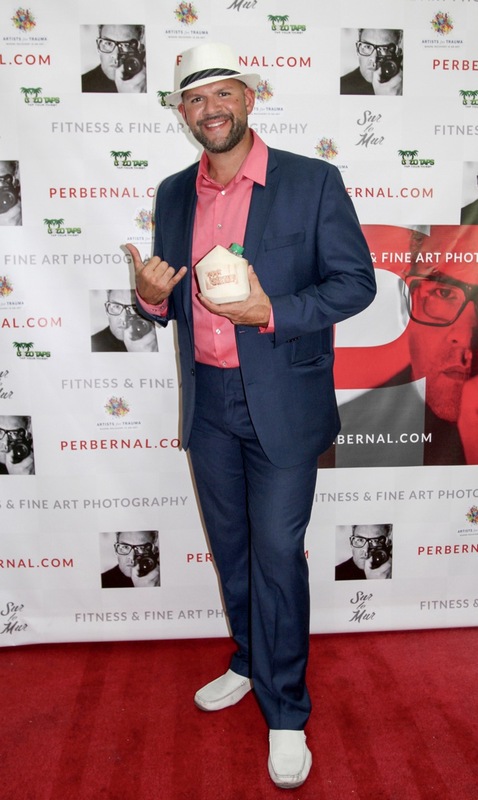 Sur le Mur presented the much anticipated premiere opening of Per Bernal's Fine Art Photography Studio in Los Angeles. 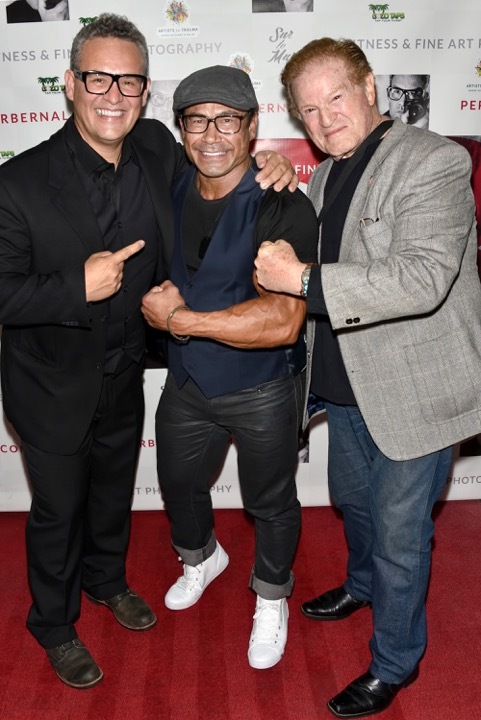 Los Angeles, CA, November 10, 2016	(Newswire.com) - ​​​​​​​Internationally renowned health and fitness photographer Per Bernal's well attended gallery opening in West Los Angeles was the talk of the town and THE art event of the season. “Per Bernal is a world class photographer praised for his talents in capturing the strength and excellence of the human body, thus has garnered the nickname; "The Annie Leibovitz of the Fitness World.” This exhibition, aptly titled “Oh Shoot,” was an eclectic evening featuring photography, graffiti, street, and fine art. There were new works featured by Per Bernal and RISK. There was an unveiling of a portrait of action hero Dolph Lundgren, which was an incredible collaboration by Per and Risk. Guests viewed some politically correct art, right in time for the election, including the “Trump Wall,” featured on CNN and BBC, by Plastic Jesus and famous portraits by the late Pop Artist, Steve Kaufman. Additionally, it was truly an honor to be partnering with Artists for Trauma,” said Megan Phillips, the Founder of Sur le Mur. Phillips represents Bernal and other acclaimed artists in addition to offering art advisory and acquisitions, curating, and custom work. “I have been a photographer for over 30 years and have shot close to 1000 fitness covers, which have been published worldwide. The opening of my US studio this past weekend was a dream come true, for me, and I now feel the freedom to explore my fine art photography, including celebrity portraiture. I find it very inspiring to work with other artists and I want my studio to be an artists' colony, where creative minds and creative ideas can meet and merge together. Working with Megan Phillips, of Sur Le Mur, has given me tremendous momentum and she has encouraged me to expand my art and to take it to an entirely new level,” said Per Bernal. Bernal also shot Artist For Trauma (AFT) Ambassadors Aaron Baker, Tamara Mena, and Steve Bogna for this opening exhibition. "I was impressed, overjoyed and proud for the AFT Ambassadors Adaptive Health & Fitness Models, Aaron, Tamara and Steve. Equally I was grateful to these brave and courageous individuals for trusting AFT and Per Bernal to present and represent them with respect and elegance. Each model exemplifies ‘The Power of the Human Spirit’, an intangible essence that is the key to the quality of life success for all of us. Per captured ‘this’ and ‘it’ communicated visually through the photos, their joyful spirit transcending beyond their physical challenges. We are grateful for the extraordinary opportunity to partner with Per Bernal and Megan Phillips of Sur le Mur. 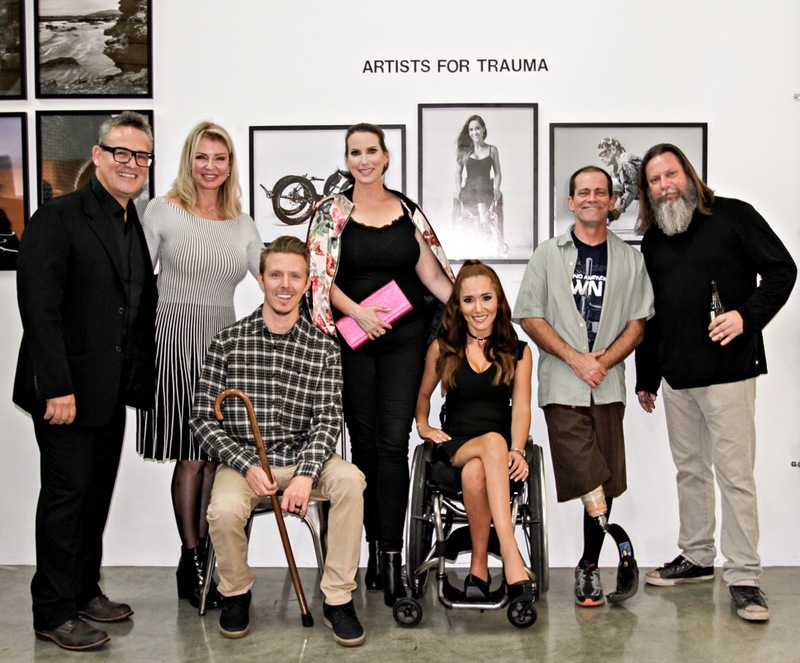 This strategic partnership is a perfect example of the signature, empowering adaptive arts & entertainment opportunities Artists for Trauma is proud to provide," said Laura Sharpe, CEO and Founder of Artists For Trauma. Numerous celebrities, fitness gurus, actors, martial artists, renowned artists and VIPs are expected at this event such as Per Bernal, Megan Phillips, Founder of Sur le Mur, Laura Sharpe, Founder and CEO of Artists For Trauma, actors and martial artists Bianca Van Damme and Hank Garrett (3 Days of the Condor, Car 54, Where are you, GI Joe the Animated Series and Martial Arts and Wrestling Hall of Fame), and actors Mel Novak (Bruce Lee's Game of Death, Samurai Cop 2: Deadly Vengeance), Robert Wall (Walker Texas Ranger, Bruce Lee’s Game of Death), Dawna Lee Heising (Samurai Cop 2: Deadly Vengeance, Blade Runner), Vida Ghaffari (Jimmy Kimmel Live, The Mindy Project), Diane Franklin (Bill & Ted's Excellent Adventure, Better Off Dead), Rico E. Anderson (The Fosters, Grey’s Anatomy), Jon Mack (Saw VI, Blunt Force Trauma), Anna Easteden (Two and A Half Men, Junkie), Katherine Kampko (Graceland, Trust No One), actor/filmmaker/on-air host Tyrone Tann (Lavanderia, Blooob, Stauros Entertainment), Ed Connors, former owner of the Golds Gym Franchise, Gudrun Giddings, Producer and President Swedish American Chamber of Commerce Los Angeles, Samir Bannout, 1 time Mr. Olympia, Danny Hester, 1 time Classic Physique Mr. Olympia, Eric The Trainer, Hollywood Celebrity, noted artists Kelly Risk Graval, Alexandra Grant, Plastic Jesus, Geoff Melville and HRH Prince Davood Roostaei (Persian Qajar dynasty), renowned artist and founder of Cryptorealism, Dr. Sarah Brindle Ph.D of Inclusivity Clinical Consulting Services (ICCS), Dr. Mary Nasmyth, Co-Chief Medical Officer, CRI and Clinical Chief for Physical Medicine and Rehab at Cedars Sinai Hospital, Entertainment Attorney Nadia Davari and countless other VIPs. This event is sponsored by Sur le Mur, Per Bernal, Artists For Trauma and Coco Taps by Vincent Zaldivar aka "CocoVinny." Renowned artist Kelly Risk Graval summed up the evening perfectly by saying it was "good times." Good times indeed!